I have a question about storing toffee candy. How long can toffee be stored and what is the correct way to store it? 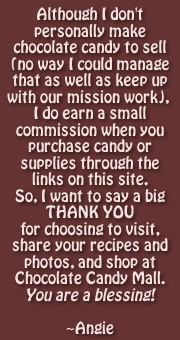 I'm making toffee for family and friends and would like to get a head start on the process. Help! I want the toffee to be fresh but I don't want to cook at the last minute. Toffee stores pretty well, depending on the temperature. Humidity makes it difficult to store any type of candy at room temperature without losing a bit in the presentation. There's a page on storing candy but if you are thinking of making your toffee for Christmas, you shouldn't have to worry. Just wrap the pieces individually in waxed paper or plastic wrap and store them in an airtight container. A cookie tin works great. They should be fine for several weeks. If you need them to last longer than that, freeze them. You still need to wrap them and put them in an airtight container even if you are freezing. Hope that helps. I'm sure your family are going to love your yummy treats! Thanks so much for explaining how to store Toffee. It really helped me !